Thank you for joining us! 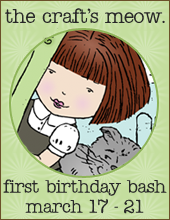 And welcome to TCM's FIRST birthday celebration blog hop! If you are just joining me, and you would like to hop with us, head back to the TCM blog for the full list of blogs on this hop! This month's stamps have been some of my favourite to date. From all the beautiful and soft spring images, to the lovely sentiment sets, like Mother & Father, I've enjoyed using these stamps so much! For today's card, I've combined tree of my fave images from three different sets, 'Beautiful Spring', 'Mother & Father', and 'Cherished'. The flower is pieced from the 'Cherished' set and the leaves from the 'Beautiful Spring' set. The lovely sentiment is from the 'Mother & Father' set. 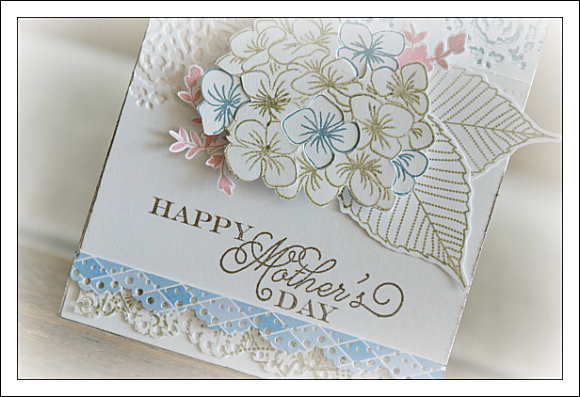 The embossed portions on this card, are from this Tim Holtz design. I've inked up the folders to create a 'letterpress' effect, which I love so much. Now, let's move onto the fun stuff! simply leave a comment on each stop along the hop! Next up on the hop is Amy Kolling - our fabulous guest designer! Today concludes our Birthday Bash festivities! Happy Birthday TCM!!!! And happy hopping to you! p.s. Also, you will definitely want to check this out! The headmistress at Miss Art's would like to invite you to our biggest free class event yet! Beginning on Friday, March 23rd, you will have 3 days to check out three of our most popular classes for free, no subscription needed. Three of our 201 class have nearly completed their 12 months of availability, and each of these amazing classes deserves a farewell party! The Secret Garden with Stacy Cohen, B. You! with Heidi Kelley, and All About Me with Bethany Kartchner have all been around for nearly a year, and will soon be removed from our class schedule to make room for some amazing new classes. That means that this weekend is your chance to check them out one last time, for FREE! If you've been thinking about joining our student body, consider this your campus tour, led by three amazing teachers. When you visit us on Friday, head to the "Classes" page to view this weekend's free classes. We'll see you there! Totally and completely gorgeous Ivana! 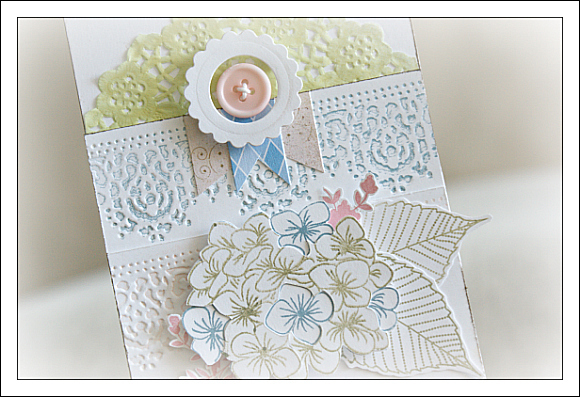 LOVE that paper-pieced flower and the LO! I love hydrangeas, they're my favorite. Beautiful card. OMG! so pretty! Very dreamy card. Very neatly executed. Love love your card :) After seeing your card, I want this stamp set, definitely! So soft and pretty, and so much to adore in this beautiful card!!! wow beautiful card...I love all the amazing detail on this card...thanks for sharing. So elegant. love how you use doilies...Thanks for sharing. Wow! So much going on on this card but it works because of your color choice - barely color. Lovely. Always love your creations, Ivana!! Hello my sweet girl! I absolutely ADORE your card! The piecing is perfection! I love the way you combined sets, too. Wow wow wow! I've loved everything you've made for the previews and hop. You truly make the most beautiful cards, so soft and lovely. Thank you for everything you do for TCM, Ivana! Beautiful, LOVE the soft colors and the wonderful paper piecing! gorgeous. Love the soft color and delicate design. Your cards are always just so soft and sweet and beautiful. This one is no exception. 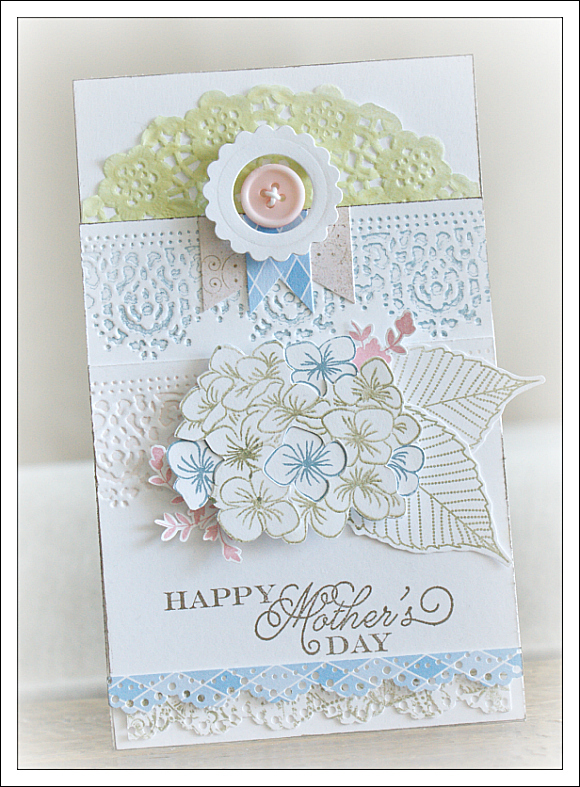 Gorgeous card combining these sets--such pretty colors. I love all of the piecing and the soft colors you used are gorgeous! Awesome fussy cutting, embossing and border punches. Fabulous! New follower from the hop. The frame around the button? SO cute! Gorgeous card! Very soft & sophisticated! My goodness, this is so lovely! The two-toned bloom is gorgeous! I've enjoyed all your cards made for this release. I like the mostly white of them with just hints of pastel colors. Very pretty! Very pretty. I like the technique you used on the flower. It makes the image very different than when it's inked in a single color. Incredible. So sweet and calm. Love it! Beautiful - I love the pastel colors you chose to use! All the layering on your flower cluster is just amazing! OHHHH what a Gorgeous layered card! Wow! There is a lot going on, but you've made it all work. Love the subtlety of the colors. Love,love,love the colors and technique! Beautiful card! Love the background and the way you did the flowers. 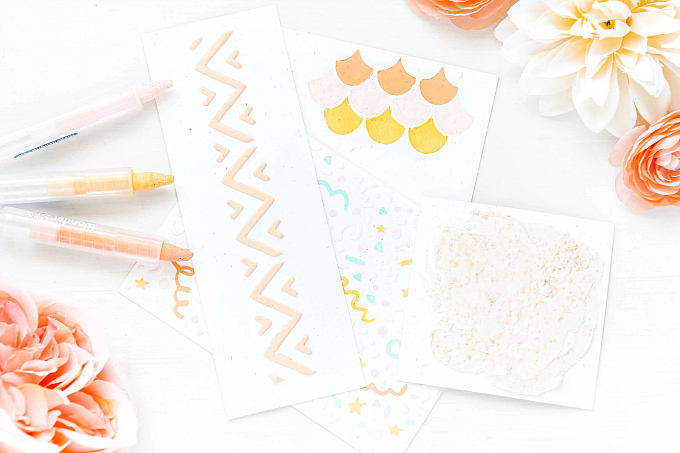 Love how you combined the stamp sets to make an amazing card! This is lovely Ivana! 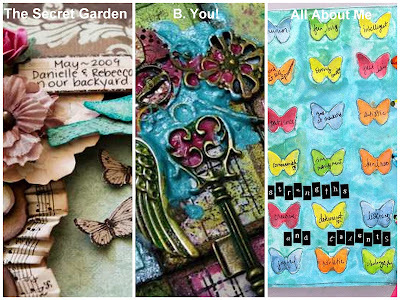 I love how you have combined three different stamp sets to make it and the details are beautiful! WoW! This is absolutely stunning! I LOVE your style! What a stunning job of paper piecing. Absolutely lovely card! What a wonderful card. Thanks for the hint about how you did the flower. It is a great look. So Beautiful...I love the lace look. Thanks for the inspiration.